NOTE: Registration is now closed, since we have reached capacity. If you would like to put your name down on our reserve list in case of any cancellations, please email admin@instruct-eric.eu. Join us for a celebration of trailblazing women in structural biology, practical advice from leading women scientists in industry and academia, and discussions about how Instruct-ERIC can support our community to progress in their careers. We encourage women from all stages of their career, in academia, industry or management, and men who wish to support women in their workplace. There are limited places for this free workshop, so early registration is recommended. Beginning at 4pm on 22 May 2019, the programme includes three talks, a panel discussion, small group questions and finishes with a drinks and tapas reception at the hotel. The workshop takes place just before the Instruct Structural Biology Conference, which we hope that participants will stay on for. Female faculty: Why so few and why care? Dr Ana Puy, Head of Women in Science Unit, Ministry of Science, Innovation and Universities. Pernilla Wittung-Stafshede obtained a PhD in Physical Chemistry 1996, at Chalmers University of Technology, Gothenburg, Sweden. During 1997-1998 she did a postdoc at the Beckman Institute at California Institute of Technology, Pasadena, California, USA with Harry Gray. In 1999 she started her independent career as an assistant professor in Chemistry at Tulane University, New Orleans, Louisiana, USA. She received tenure and was promoted to associate professor in 2002. In 2004 she moved to Rice University, Houston, Texas, USA, as associate professor with tenure in the Biochemistry and Cell Biology department. After 5 years, in 2008, she returned to Sweden and became full professor in Chemistry at Umeå University in the north of Sweden. She spent 7 years there before moving to Gothenburg in 2015 to the then newly-founded Biology and Biological Engineering department, there acting as head of one of its divisions, Chemical Biology. Her research centres around protein biophysics, with current focus on mechanisms of copper transport proteins and cross-reactivity in amyloid formation. She was elected into the Royal Swedish Academy of the Sciences in 2016. She has published over 230 peer-reviewed papers. Throughout her academic career, she has always taken leadership roles on local, national and international levels. She always tries to promote women in science via outreach to pupils/public, teaching undergraduates/graduates, and mentoring of young faculty. 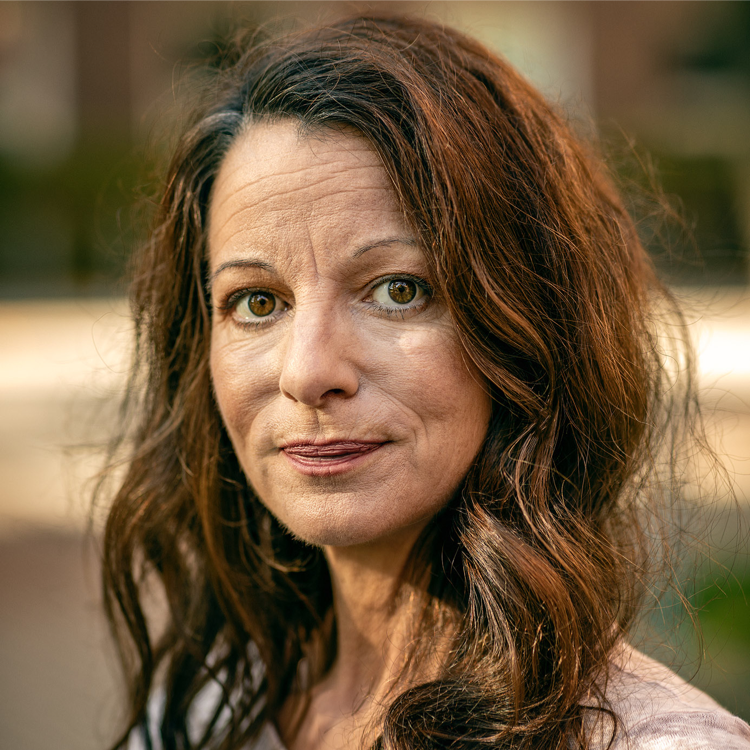 This year she began to lead Genie (Gender Initiative for Excellence), a ten-year project that is the world’s largest gender equality initiative in an academic setting. Arwen is a biophysicist with a background in structural biology; from X-ray crystallography, to single crystal spectroscopy and structural enzymology. She obtained a BSc(Hons) in Biochemistry from the University of Bath in 1997 and a PhD in Structural Biology from the University of St Andrews in 2001, working with Prof. Garry Taylor. At the University of Minnesota, Arwen worked on the biogenesis of the protein derived cofactor tryptophan tryptophylquinone. In 2006 she moved back to the UK as an independent research fellow at the Astbury Centre for Structural Molecular Biology at the University of Leeds, later becoming a lecturer in structural biology. Since 2014 Arwen has been based at the University of Hamburg as Professor of Experimental Biophysics at the Hamburg Centre for Ultrafast imaging. Arwen’s research group has a strong interest in addressing the issues of visualising macromolecular structures in space and time, including the collection of time-resolved diffraction data and reducing damage from radiation. Arwen is a key advocate for mentoring, and will be speaking on this topic at the Women in Science workshop. Ilaria Ferlenghi received her Ph.D in Biophysics at the University of Heidelberg, Germany, working on viral structures with the pioneer of the cryo-electron microscopy, Dr. Stephen Fuller. She performed several post-doctoral studies at different institutions: at the EMBL, Germany, applying x-ray crystallography on viral protein structures and later on bacterial helicases structures; as a visiting researcher at Harvard Medical School, USA; and the CNRS in Paris. She became head of the Structural Microscopy Group at the Novartis Vaccines in the 2006, and was appointed PhD Director of the Novartis (now GSK) Academy in 2012. She is member of the WILS (Women in Life Science). She has published several book chapters and more than 25 peer-reviewed research papers in reputed international journals. Her research interests focus on the use of structural biology applied to vaccine discovery. Maria Armenia Carrondo (chair): Professor, Universidade Nova de Lisboa, Portugal. Areej AbuHammad: Associate Professor, University of Jordan, Open SESAME, Jordan. 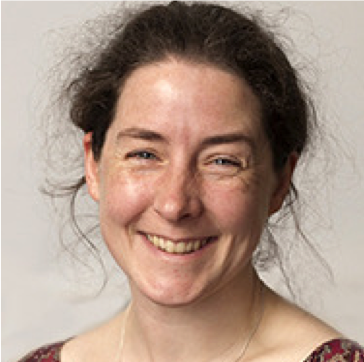 Arwen Pearson: Professor, the Hamburg Centre for UltraFast Imaging, Germany. Elena Carazo: PhD student, Columbia University, Co-President Women in Science at Columbia University, USA. Lucia Banci: Professor, CIRRMP, Italy. 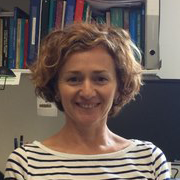 Margarida Archer: Principal Investigator, Macromolecular Crystallography Unit, ITQB, Portugal. Susan Daenke: Instruct-ERIC Coordinator, University of Oxford, UK. The Women in Science Workshop is sponsored by Instruct-ULTRA, so that registration can be free of charge. Since places are limited, we advise early registration. In order to allow participants to attend the Women in Science Workshop and Structural Biology Conference who would not otherwise be able to come due to financial restraints, Instruct-ULTRA is sponsoring four fellowships. Instruct-ULTRA and NHRF are sponsoring four fellowships for women scientists to attend the Women in Science (WIS) Workshop and stay on for the Biennial conference. Applicants should send a 200 word statement justifying their motivation to attend the Women in Science Workshop and the Instruct Biennial Conference and a letter of recommendation from their supervisor or manager to  admin@instruct-eric.eu. The applicants who will submit an abstract upon registration should also send a copy of the abstract to the same address.